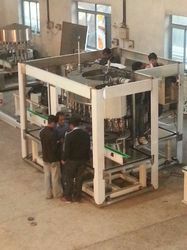 Pioneers in the industry, we offer automatic filling sealing machine and automatic bottle sealing machine from India. Our organization has successfully expanded its business in market owing to the offered elevated quality array of Automatic Filling Sealing Machine. 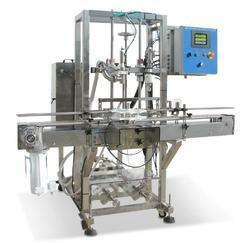 As the name implies, offered machine is mainly used for sealing bottles in diverse processing industries. The offered range is manufactured utilizing best quality components and the latest technology. Furthermore, a team of our quality examiners conducts a series of quality tests on the entire array to seek out any possible defect. In tune with industry standard, we provide the entire range in various customized options and industrial leading prices. output 80 to 120 bottles output per minute. We provide our clients with a comprehensive gamut of semi automatic ropp cap dealing machines. These machines come in a power rating of 2 hp and 80 to 120 bottles output per minute. Looking for “Automatic Filling Sealing Machine”?